It was back in April last year that Xiaomi officially announced it Mi 8 flagship smartphone, skipping the Xiaomi Mi 7. From current indications, It is likely that the Chinese manufacturer may announce the Mi 9 phone with topnotch specs by the same time in the 2019. Benjamin Geskin, a renowned tipster has shared a render of next year’s Xiaomi Mi 9 flagship phone on Twitter. The upcoming Xiaomi 2019 Xiaomi Mi 9, is expected to come with notch display, but according to Benjamin Geskin the device will sport a smaller notch than it predecessor, the Mi 8. Obviously, if the rumor is to be believed, it means Xiaomi is not render to go OPPO’s way of waterdropping notch just yet. The leakster has speculated that the Mi 9 could be equipped with a 6.4-inch AMOLED screen that will be equipped with an under-display fingerprint reader. 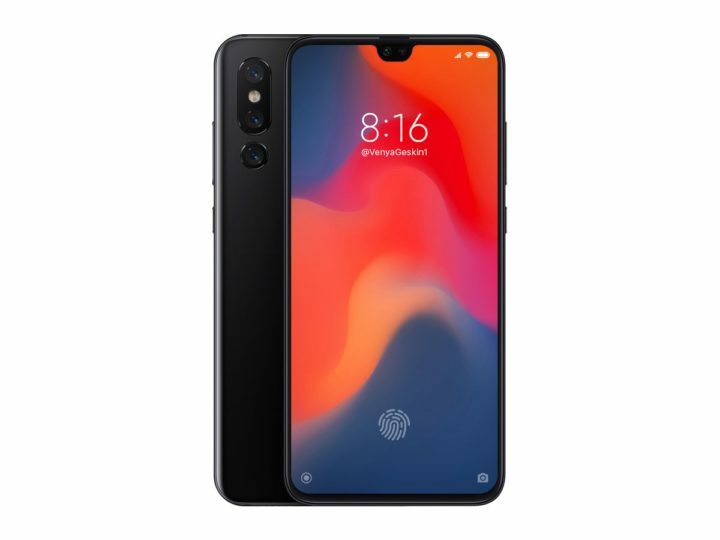 The back panel of the phone is fitted with a vertical triple camera setup, similar to Huawei Honor 20 Pro, with an LED flash placed between the first two camera sensors. It is likely that the upcoming Xiaomi Mi 9 may feature a 48-megapixel Sony IMX586 as the primary sensor of the triple camera unit, along with 13-megapixel and 16-megapixel camera sensors. Coming to the CPU department, the smartphone is rumored to be fueled by the upcoming Snapdragon 8150 chipset, along with 6, 8 and 10 GB of RAM. It could be featuring a 3,700mAh battery with Quick Charge 5.0 support. The glass rear of the phone will allow it to support wireless charging. Lastly, the tipster claims that the Mi 9 may go official as a 5G smartphone, which might be the second Xiaomi Smartphones expected to feature 5-generation network modem, aside the Xiaomi Mi MIX 3 5G edition. Either true or not, the launch of Xiaomi Mi 9 is still months away, so we hope to get more tips concerning the device before it goes official, so stay tuned.